ONI Bureau: Most parts of the state are likely to witness light to moderate rainfall in next 24 hours, the IMD Regional Centre has predicted. IMD has issued heavy rainfall for districts like Keonjhar, Mayurbhanj, Balasore, Bhadrak, Jharsuguda, Sundargarh and Sambalpur in next 24 hours. 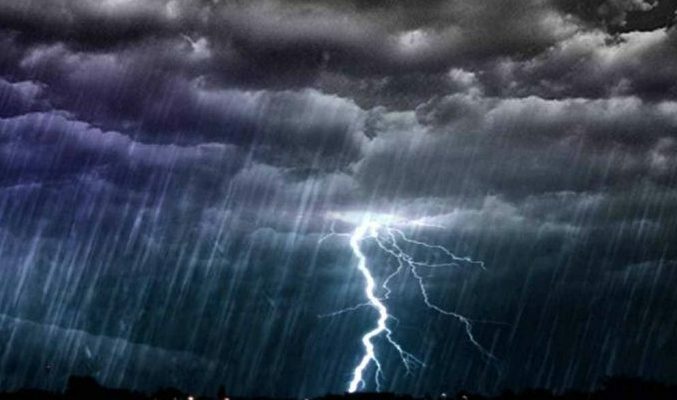 However, IMD has issued thunderstorm and lightning warning for 10 districts of Odisha today including Nuapada, Bolangir, Kalahandi, Sambalpur, Sonepur, Nayagarh, Angul, Dhenkanal, Cuttack and Khordha. A cyclonic circulation that formed over Bangladesh likely to trigger rainfall in most Northern Odisha districts. While, the cyclonic formation to intensify into a low pressure by August 5, MeT predicted.